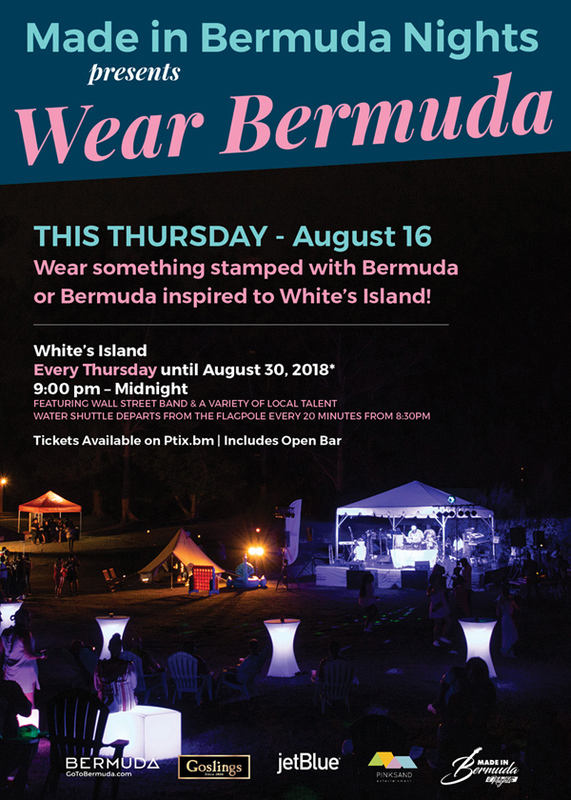 Thursday night’s theme for Made in Bermuda Nights is “wear Bermuda”, and the Bermuda Tourism Authority is urging people to break out their finest Bermuda-branded summer gear and Bermuda-inspired outfits and step out onto White’s Island for live music and dancing under the stars. The Wall Street Band will take the stage once again, joined by Sheila Smith, Live Wires and Verlencia Aberdeen. Water shuttle service begins at 9pm on Thursday night from the flagpole on Front Street. The water transfer, live music and open bar are available for one ticket price of $40 per person on ptix.bm. Locals are urged to bring visitors to show them an outdoor island music experience performed by Bermudian artists. 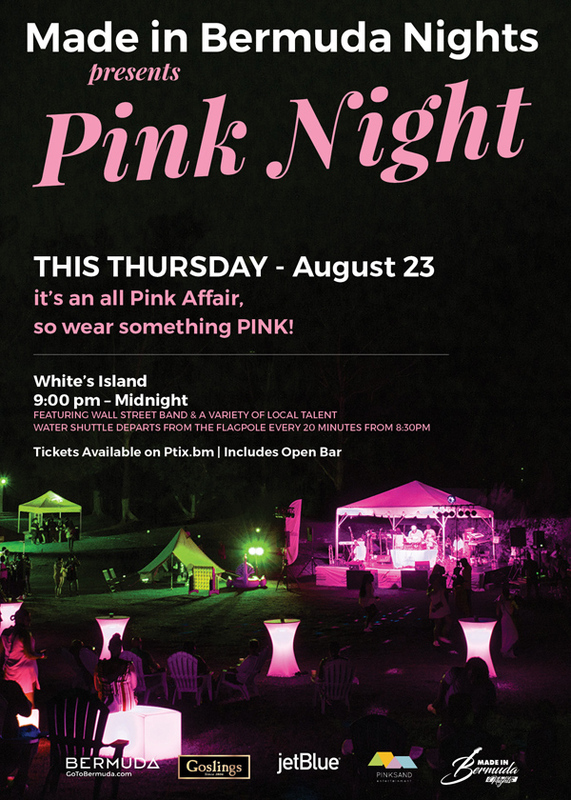 Following Thursday there are two more themed Made in Bermuda Nights on August 23rd and August 30th. 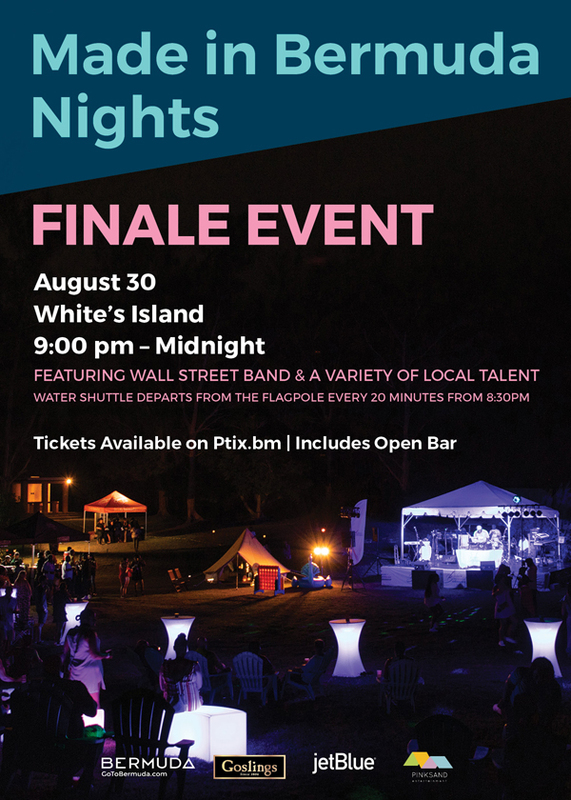 “In a new partnership between PinkSand Entertainment, Gosling’s and the Bermuda Tourism Authority, Made in Bermuda Nights began July 5th boasting a rotating schedule of Bermudian entertainers performing live under the stars on White’s Island,” the BTA said.